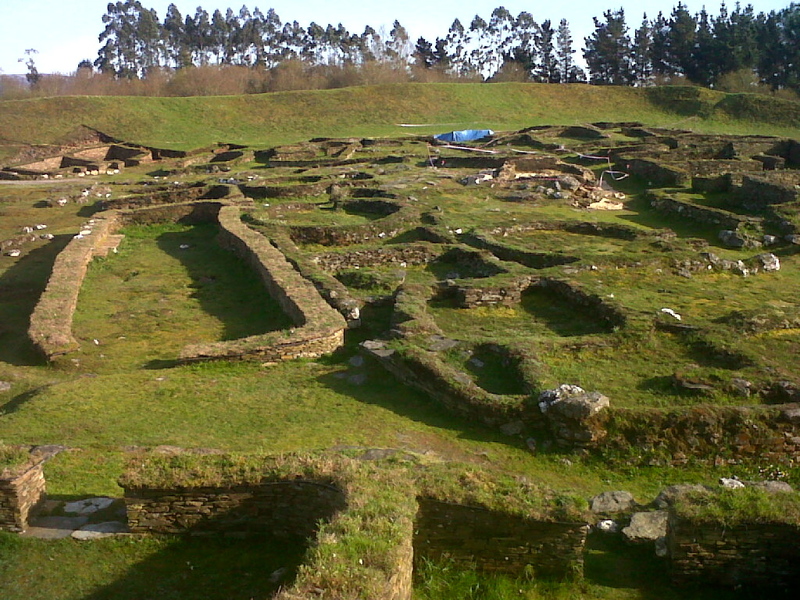 Castro De Viladonga hillfort settlement, located less than a half an hour from my current hometown of Lugo – Galicia (northern Spain), dates back to the late Roman Era(between the III and V centuries A.D.) and has been a key site for studying and learning about the evolution of Hillfort Culture in the Galician-Roman era. 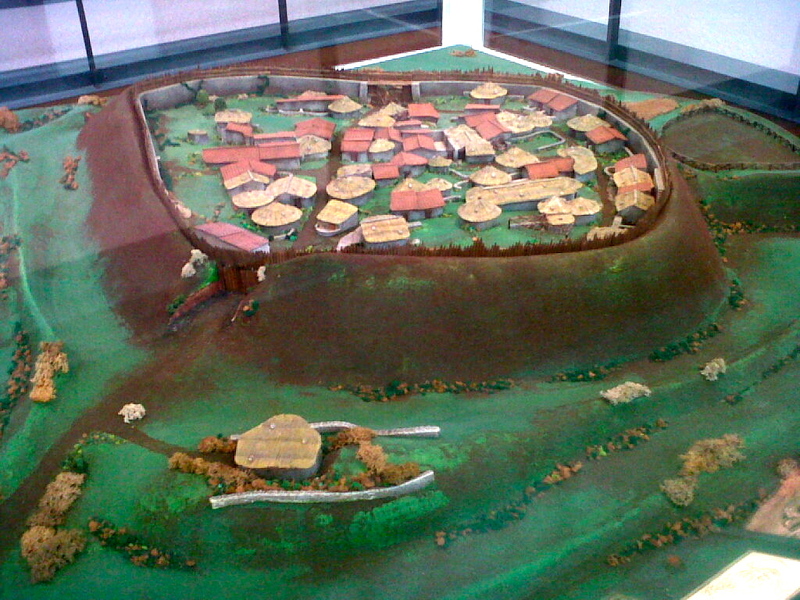 The hill fort consists of several enclosures with walls and moats (up to four on the east side), two outer hill forts or areas for expansion yet to be thoroughly excavated and in one of which is the entrance to a cave and large central crown or interior acropolis which is where the majority of the constructions unearthed to date lie. 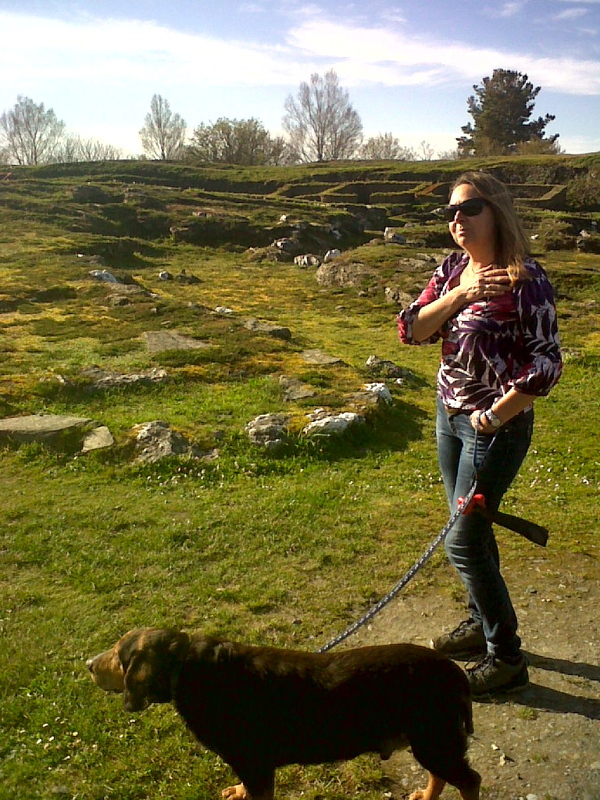 Set to the sides are two pathways which cross the hill fort from North to South and East to West and by an interior circular path parallel to the main wall which work as thoroughfares or areas for walking which today can be used (just like the wall) for visiting the site. The buildings sometimes are in groups or complex units and others make up groups of two or three dwellings, together with one or several annexes in the form of shelters or storehouses, areas for domestic work and crafts, stables or yards for animals. etc. 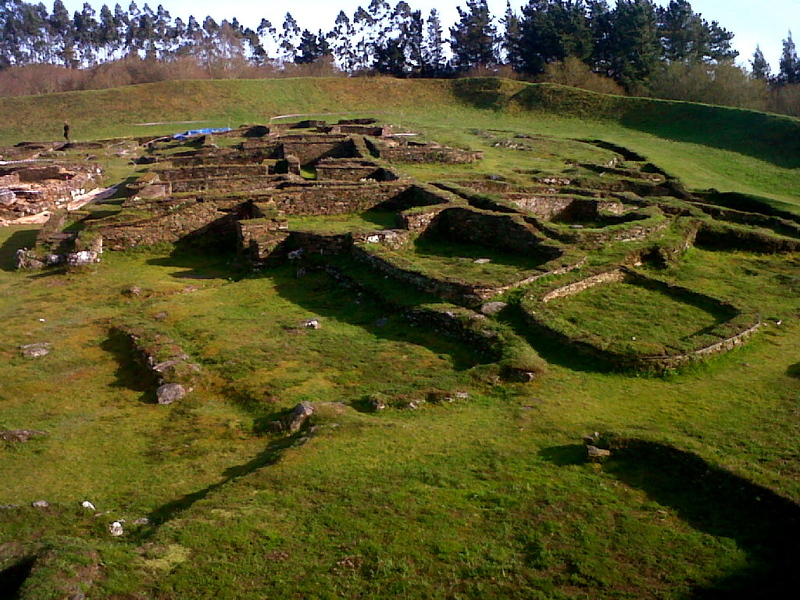 In other cases the constructions are complete but individuals, used as dwelling places, or as a place for communal or social use (I am sure many fun festivities and celebrations took place in what would have been an original local bar, restaurant, or party hall). 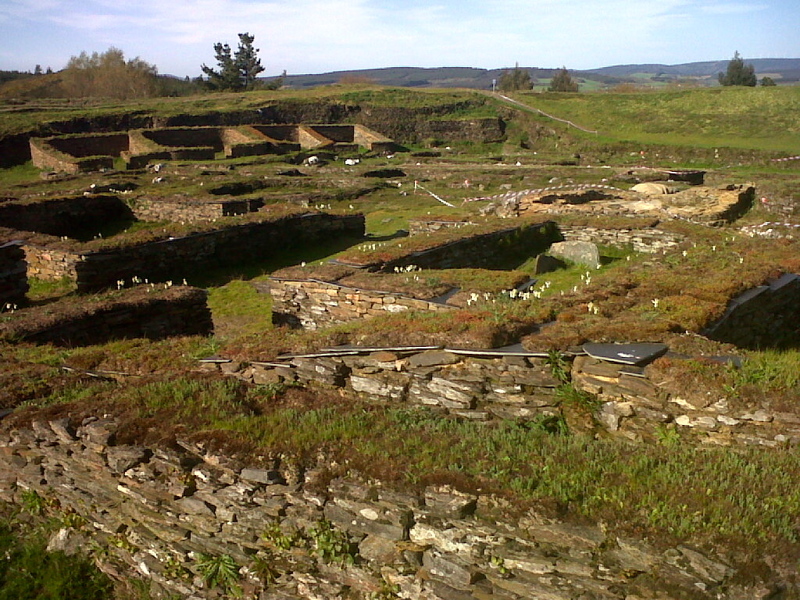 There are also remains of other incomplete buildings or unattached walls. We can also see entrance stairs, small atria, hearth places, fonts or channels dug into bare rock, holes for inserting posts, etc. 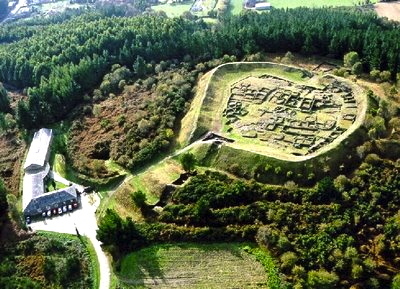 The hill fort is open on a permanent basis and it is an incredible experience to walk the walls and enjoy the setting which was inhabited so long ago. 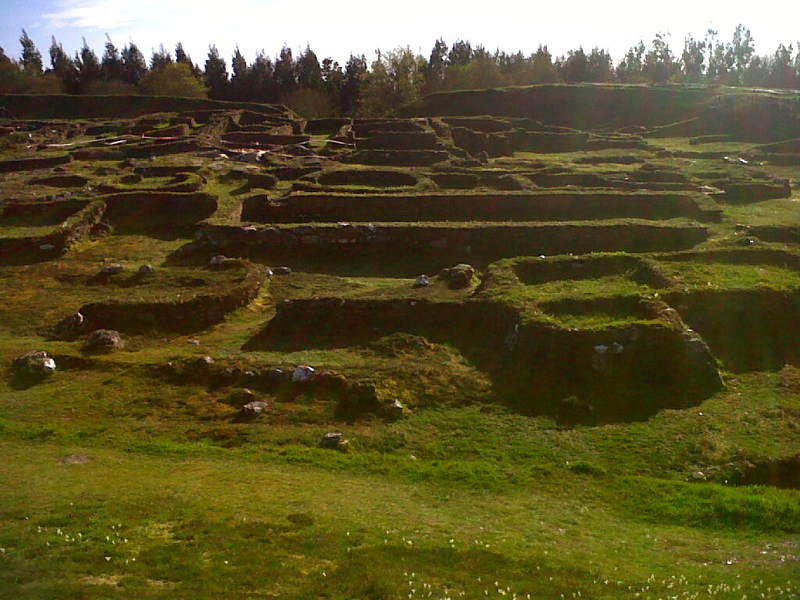 Its natural landscape and sloping hills you can see made for a perfect place to develop a settlement providing them the opportunity to create within the landscape a fortified walled enclosure for living with mote outside adding protection. 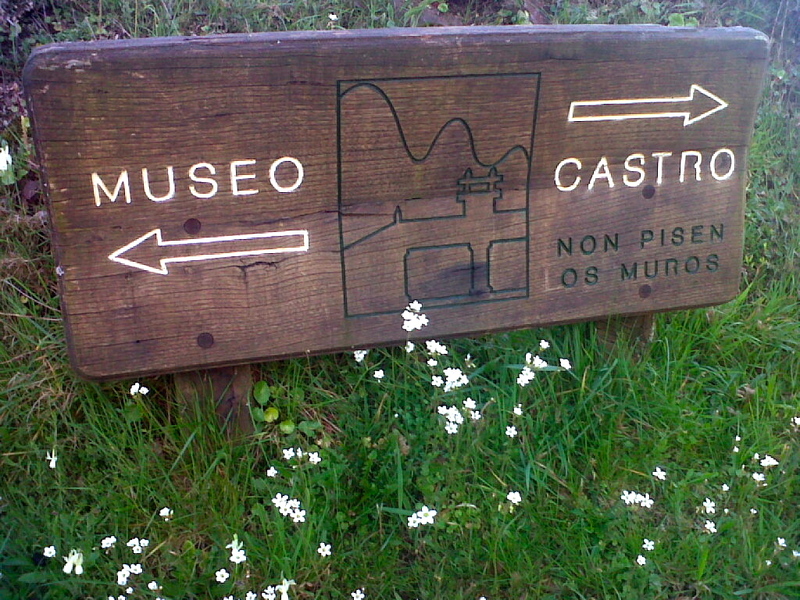 The archaeological importance and historical interest of the Castro de Viladonga hillfort include the quantity and quality of the artifacts which have turned up, along with the interest to do research and exhibit the findings in its natural setting led to the Ministry of Culture in 1983 to set up The Castro De Viladonga Museum. The museum was constructed in 1976 – 1978 and had major extension work and modernization of the installations which was carried out in 1992 – 1994. 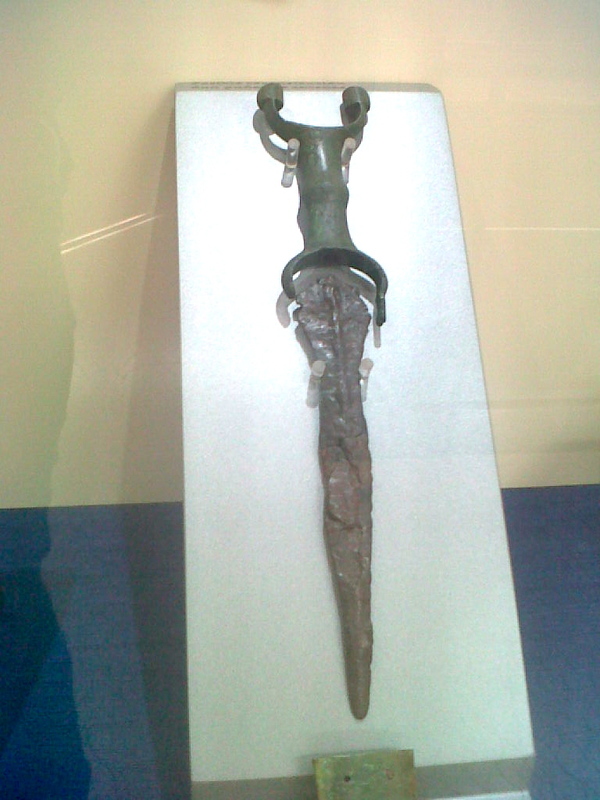 Many interesting and unique artifacts can be seen to understand a little more about what their living conditions and environment were like. 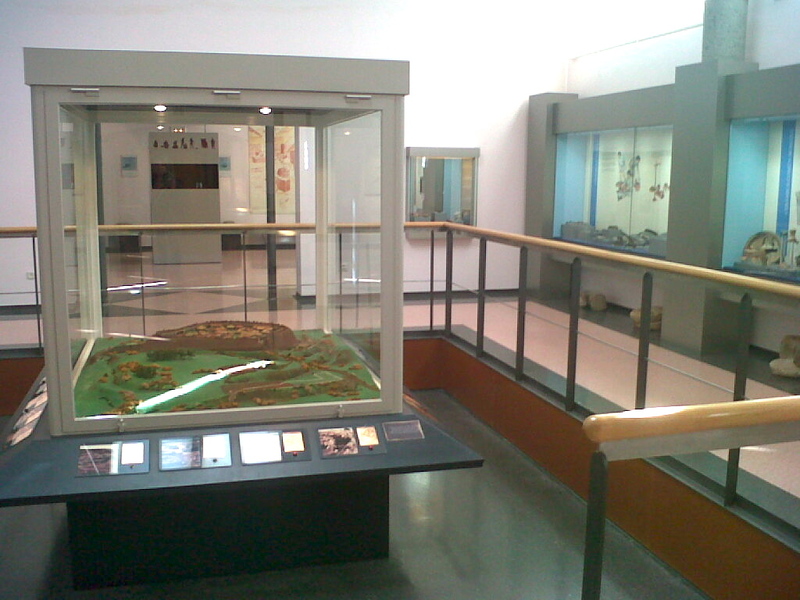 There has existed since 1989 an Association of Friends of the Viladonga Hillfort which has as its main aims to promote and spread cultural, scientific and educational activities at the museum, as well as to promote the protection and knowledge of the site and of Cultural Heritage in general. 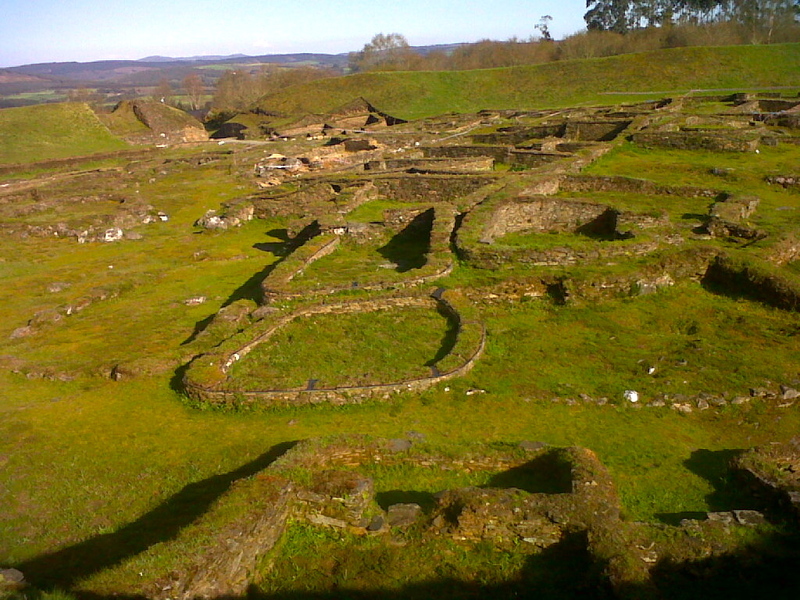 It was another incredibly fascinating and interesting Camino Adventure – as we traveled in time back to the III – V Roman – Galician era A.D. 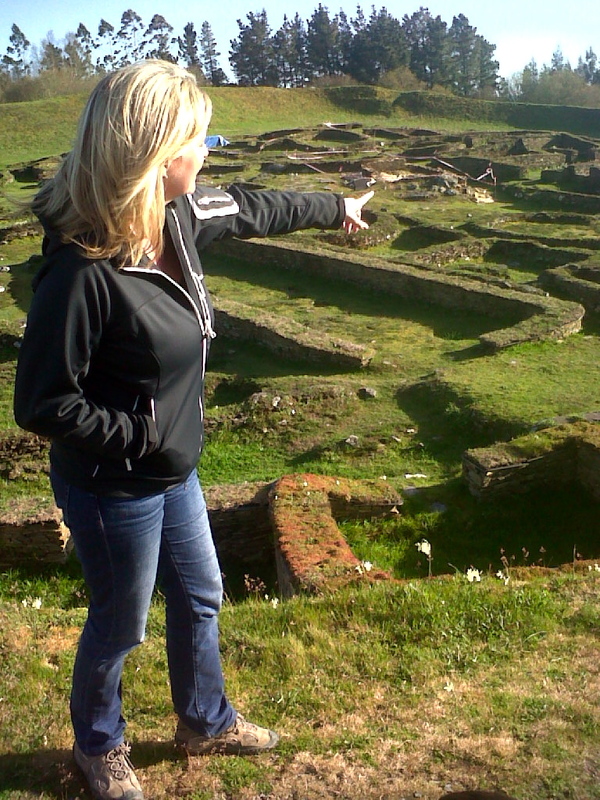 Thank you Marisa for another fantastic day discovering more of Galicia!!! Hope you will join us to experience more of the secret treasures of Galicia while we discover, learn and explore more of this amazing culture and unique land. 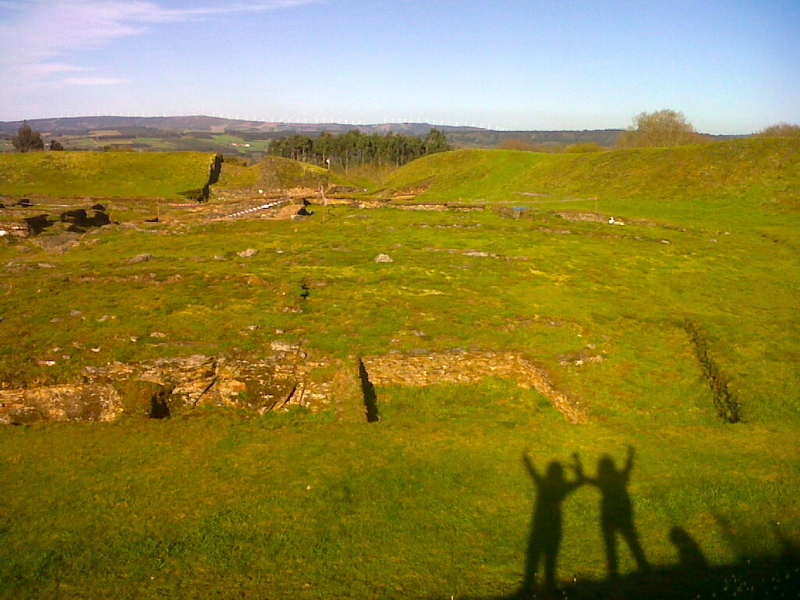 This entry was posted in Camino Travel Tips, Secret Treasures , Legends & Myths of Galicia and tagged nature, outdoors. Bookmark the permalink.